Please be aware that other towns in our league follow the same policies. 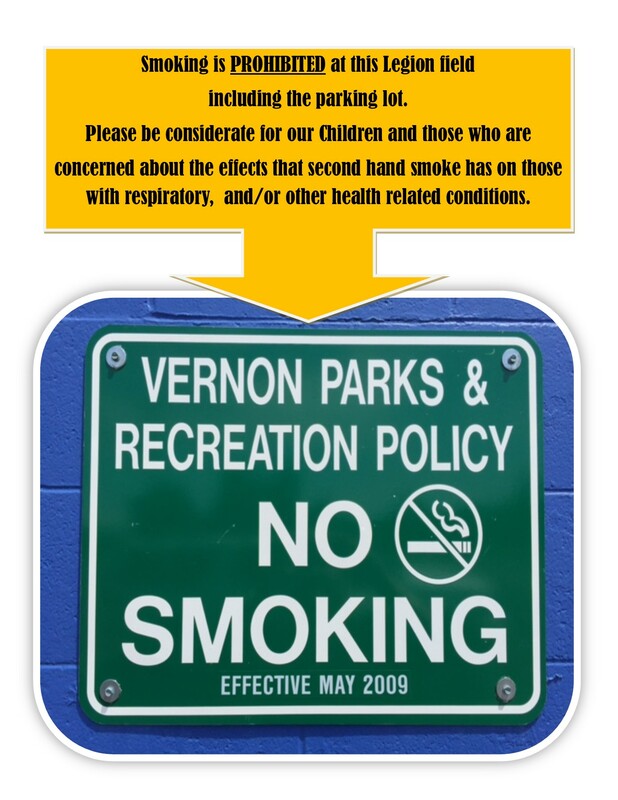 The Town of Vernon has a few policies at the Legion athletic fields. Please take notice and pass information along to family/friends attending games, practices, etc. There is NO ALCOHOL allowed at park/recreation areas. No Tailgating, drinking, etc. Town of Vernon Ordinance: Sec. 9-1. - Possession or consumption of alcoholic beverages in parks and recreation areas prohibited. If you bring your dog to the field you will not be able to enter the gate, you will need to stay outside of the fence. VYFL will continue the policy of excluding dogs from the playing fields. Thank you for your consideration in these matters.